Our product range includes a wide range of video laryngoscope and portable intubation video laryngoscope usb. Video Laryngoscope With Still & Recording Facility. Rechargeable Battery with 2 Years Life. Swivel Monitor, FREE Memory Card. 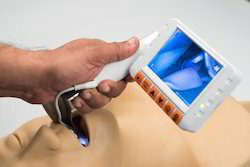 It is a all Size Video Laryngoscope mostly Applicable for all . One touch photo and video recording. Low battery warning on screen display. Portable Intubation Video Laryngoscope With Still & Recording Facility. Rechargeable Battery with 2 Years Life. Swivel Monitor, FREE Memory Card. 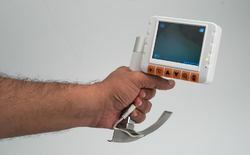 It is a all Size Video Laryngoscope mostly Applicable for all . Packaging Details: corrugated box with thermacoal packing inside.